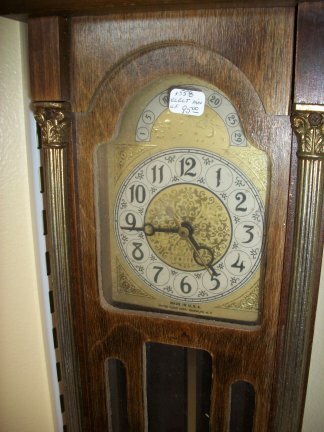 ELECTRIC CLOCKS-1558-MINIATURE ELECTRIC GRANDFATHER CLOCK MADE BY THE UNITED CLOCK CO. 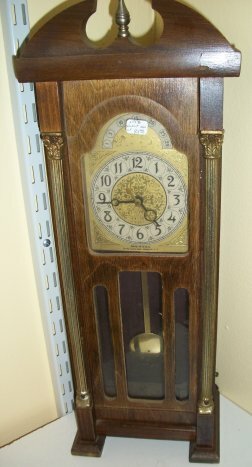 This clock is also made by the United Clock Company. It is a miniature Grandfather clock, it is electric and is a time only. Close up view of the dial.